Nutrena, a Cargill company, focuses on providing precisely balanced nutrients for animals. They have been developing breakthroughs in animal diets since 1921. Nutrena approached LAVA, looking to create an exhibit that could illustrate the evolution of muscle groups in horses that were fed equine feeds incorporating Nutrena’s Topline Balance™. Using feeds with Topline Balance, along with proper exercise, builds the main muscle groups associated with an optimum topline; the croup, loin, withers and back. The central design problem was to create a realistic interactive Topline Balance display that clearly illustrates muscle group differences before and after the diet. The design needed to be lightweight, durable, and easily transportable with little to no setup time. LAVA worked with Nutrena to research solutions and resolve interaction challenges. The collaboration resulted in a display featuring a full-size quarter horse bust integrated with a tabletop-style format. 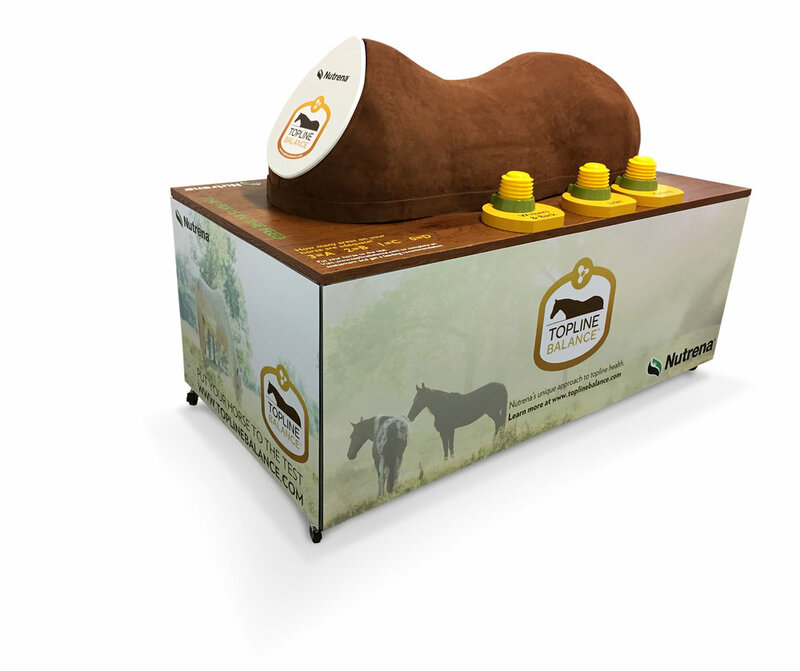 The display encouraged people to not only walk around the display but also interact with the horse, so they can see and feel the difference that feeding feeds with the Nutrena Topline Balance technology makes. We incorporated an interactive muscle growth system to illustrate the progression in muscling improvement based on a standard topline evaluation of A, B, C and D rating. 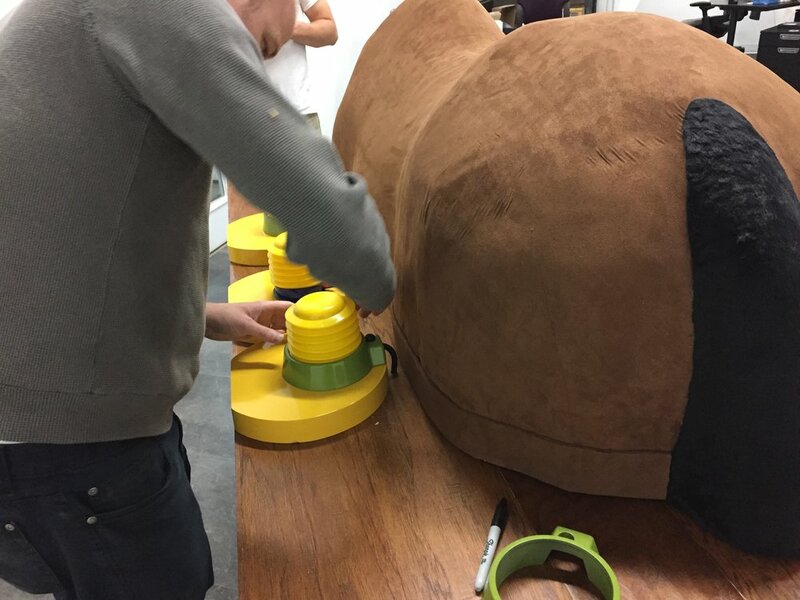 Exhibitees can inflate the separate muscle groups to see and feel the change in the topline muscles. LAVA also worked closely with Nutrena’s marketing team to seamlessly integrate their branded artwork, messaging, and other elements. 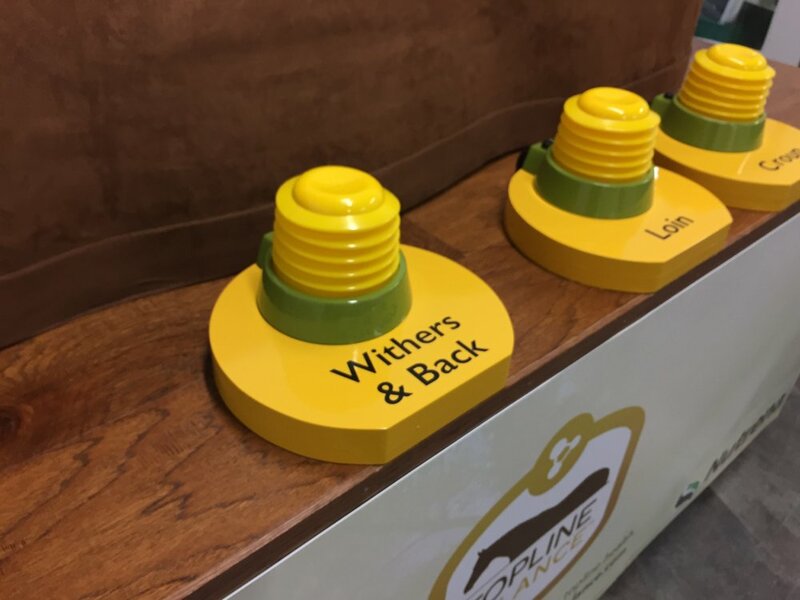 The Nutrena Topline Balance display has been well received and currently circulates in Nutrena’s trade shows, traveling throughout the US, promoting their innovative feed program. LAVA continues to offer support in consulting, design, and development.